Have you ever wanted to do something a little more pizzazzy on a wall than just a straight paint color? Maybe you have thought of adding wallpaper for a feature wall but the idea of hanging it …….and later stripping it has left you with sweaty palms. 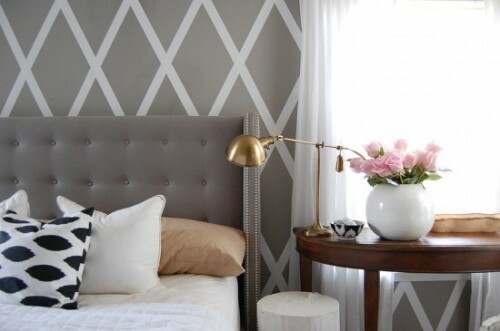 Well, painting a pattern on a wall is not as difficult as what it may seem, depending on the pattern of course. You can add a ton of style, or as I like to say — Pizzazz!, to a wall by simply incorporating another color or just a glaze in a fun design. Are you having a tough time picturing it? No worries! I have several examples of creative patterns ranging from subtle to bold to suit your style. 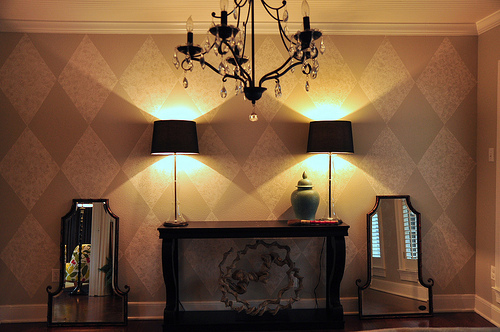 One great way to create a pattern or decal look is to use a paint stencil created for walls. These are easy to use and provide awesome results. One place, that I found, where you can purchase these paint stencils is at Cutting Edge Stencils. They have a nice variety and are quite affordable. You will be amazed at some of the patterns! 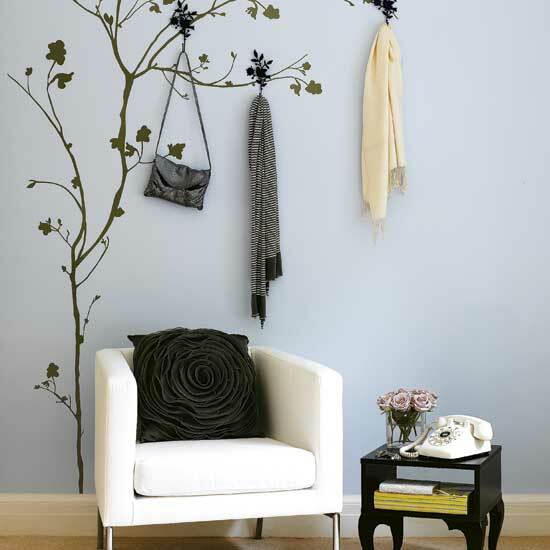 I love how the wall hooks are practically hidden in the leaves of the tree stencil. 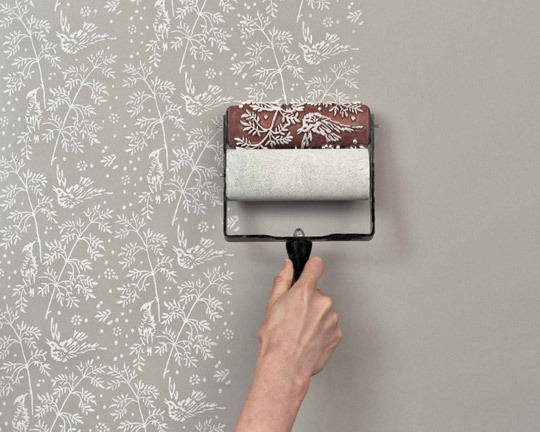 Another newer way for painting a pattern on a wall is to use an embossed paint roller. You have to use flat paint for this and I imagine it takes a pretty steady hand. I might try it for a small area. Painting stripes is probably the easiest pattern to do. All you need is at least a couple of different paint colors or sheens and some painters tape…. and a level is a good idea! A diamond pattern is a little more complicated but uses the same technique as the stripe in that you need to mark off your pattern with painters tape. Check out the tutorial for an easy way to measure your diamonds. Just adding a diamond border creates a lot of drama! 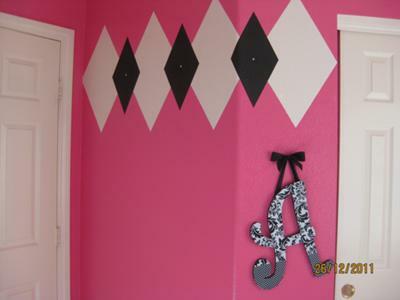 This argyle pattern is easy to do with an additional paint color. 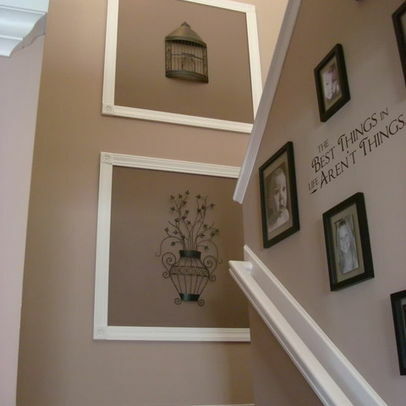 Finally, I love this idea for painting squares on the wall in a slightly different shade of wall paint and then framing it with molding to showcase art work. This is a very subtle and classy way to dress up walls! Just measure your squares, tape off the borders, and paint. If you don’t want to make a frame with molding, think about old picture frames and paint your squares according to the size of the frames you have. Most of these ideas for painted wall patterns can be used on other paint projects as well.